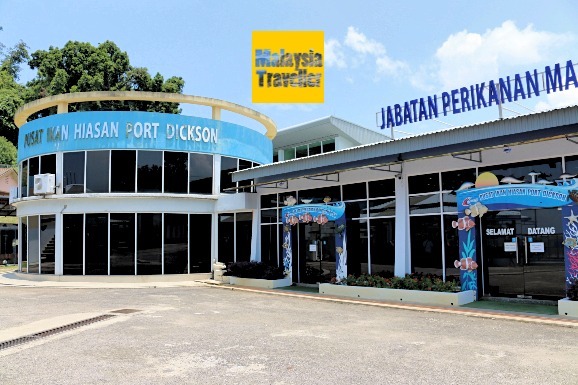 Pusat Ikan Hiasan translates as Ornamental Fish Centre and it is an aquarium and marine conservation facility run by the Malaysian Department of Fisheries. 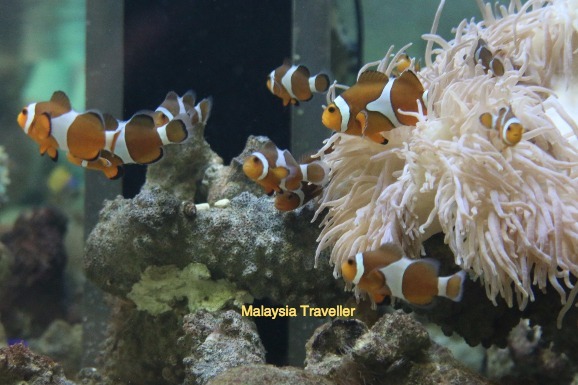 The centre is located at the northern end of Port Dickson’s Teluk Kemang beach and sea water from the bay is pumped into the centre’s storage tanks for cleaning and treatment before being used in their aquariums. 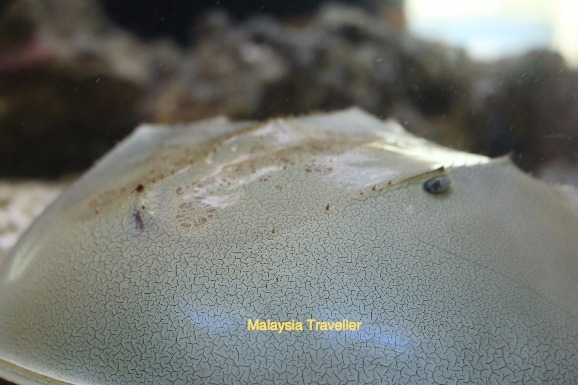 The fish tanks are spotlessly clean meaning that visitors can obtain a clear view of the various fish, coral and marine creatures on display here. 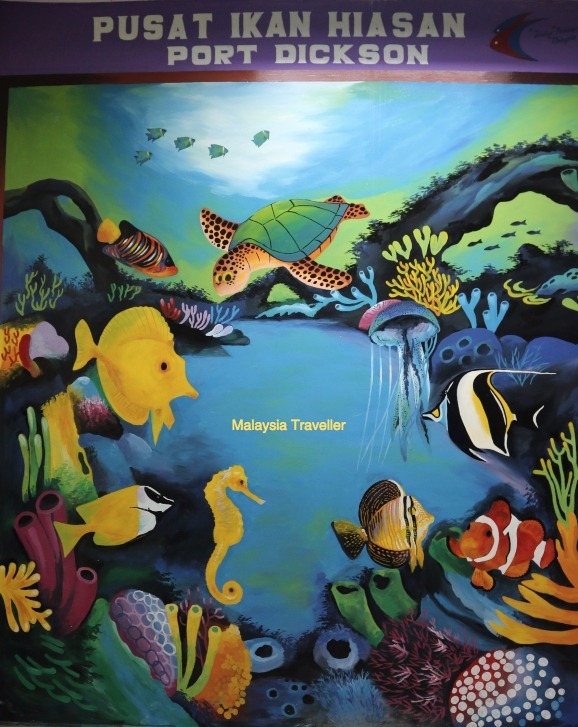 Here you can find both Nemo and Dory. 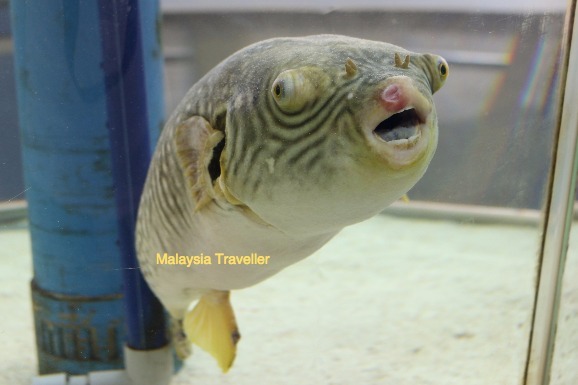 According to the sign, this very strange looking chap is an Arothorn Stellatus or Puffer Fish but unlike other puffer fish I’ve seen. 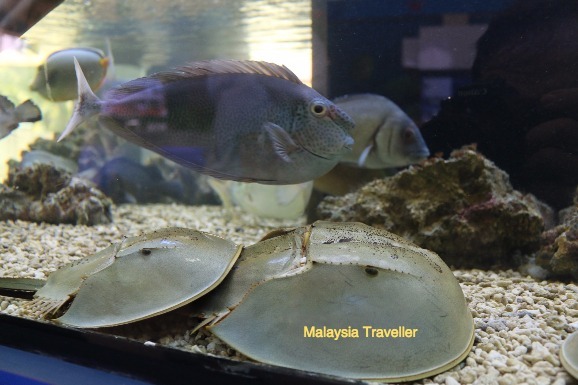 These weird looking creatures are horseshoe crabs. Females are bigger than males. This pair might be mating or perhaps he is just catching a lift. 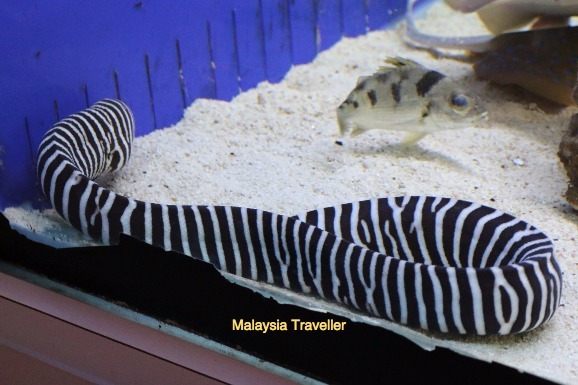 Don’t try to feed this zebra moray eel by hand. It might think you are trying to attack it and could give you a nasty bite. 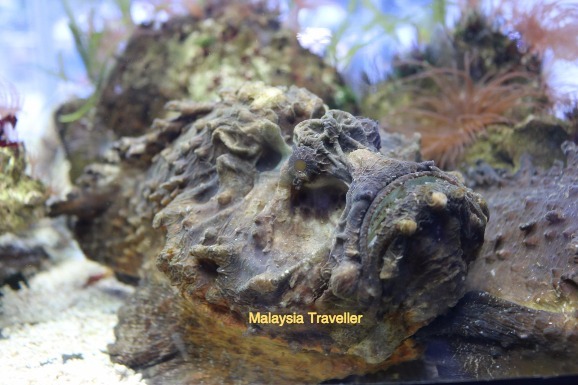 This stone fish (synanceia) would not win any beauty contest but has a highly venomous sting which has been known to kill people unfortunate enough to accidentally step on it. 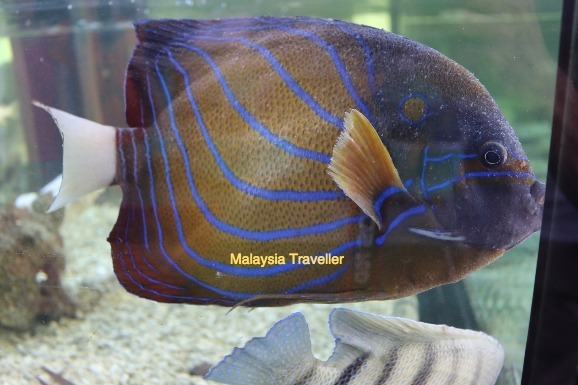 As well as being an attractive aquarium for educating the public, Pusat Ikan Hiasan also serves as a research centre and incubator for marine ornamental fish, sea horses and coral reefs. 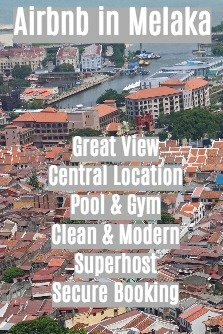 This place was better than I expected. 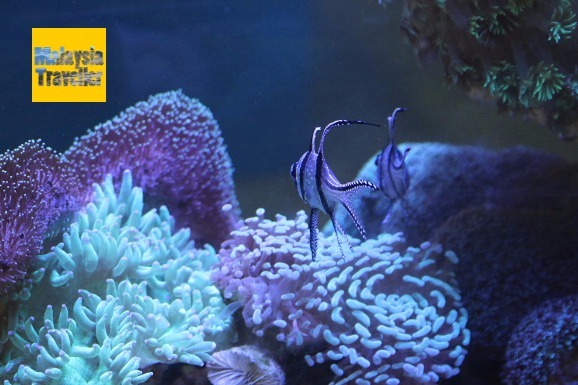 A great selection of marine life and spotlessly clean tanks. 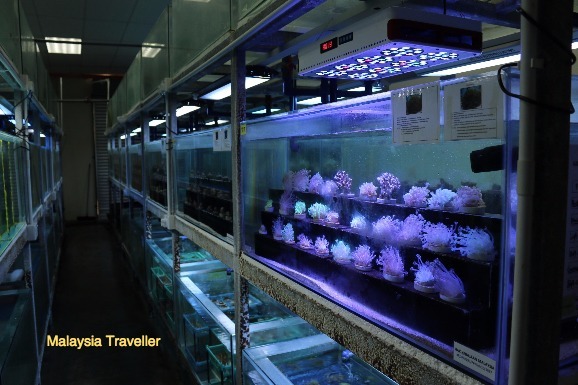 In my opinion the Department of Fisheries could charge a nominal entrance fee without deterring visitors and use the money to further their marine conservation work. They should also supervise the visitors more closely. 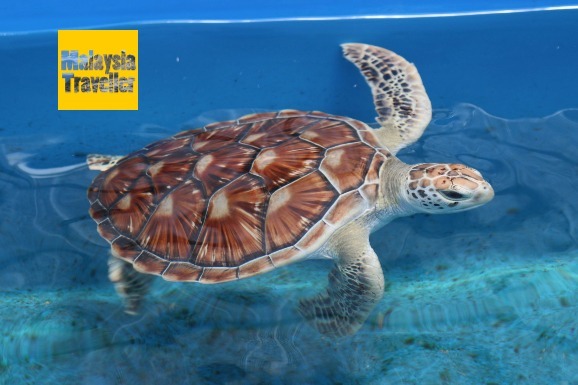 Some people were touching the young turtles despite signs telling them not to do so.